During the pre-holiday break, there was plenty of speculation and whispers upon the lips of both NHL beat writers and sports talk hosts alike. Granted, that was only a few weeks ago, but that front has become silent with the NHL Trade Deadline coming in a little over a month. The scuttlebutt may have subsided, but let's revisit it as honorary members of The (not New Jersey) Devil's Advocacy Group. This year's class of potential restricted free agents are a who's who of young superstars and they are all about to get paid a king's ransom. 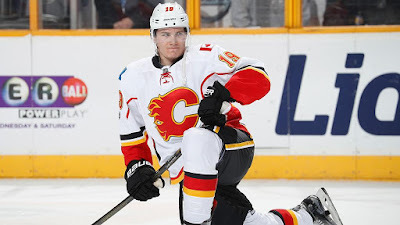 Even though, we haven't seen an RFA sign an offer sheet since Dustin Penner did in 2007 (none offered since 2013 when Colorado matched Calgary's proposal to Ryan O'Reilly), this could be the year. Not only does this year's talent garner that attention, but with the salary cap looming overhead, some of the team's who are carrying their young superstar may have a challenge matching the offer sheets of other teams, i.e. 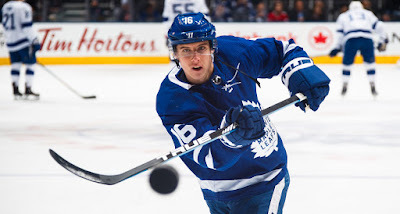 Toronto Maple Leafs as they have both Auston Matthews and Mitch Marner to sign as the Winnipeg Jets have Patrik Laine and Kyle Conner to sign (who will likely trade Jacob Trouba than re-sign). With the exception of the Leafs, Jets, and Lightning, the rest of these clubs aren't strapped for cash and won't have to do a lot of cap or roster management to tender their RFAs a contract of fair term and amount. Tkachuk, Boeser, and Aho are central pieces to their teams and provide much of the identity associated with them. Calgary, Vancouver, and Carolina will have adequate cap space to re-sign them as Columbus and Boston will with their young blueliners; McAvoy and Werenski. Rumor Time: I don't put a lot of credence in the following prognostications, but they have been uttered by respected members of the sports media so they bear repeating. TSN's Bob McKenzie stated that there has been speculation, but nothing concrete that the Arizona Coyotes could offer their "hometown boy" Auston Matthews a contract that maxes out at the single season salary of $16 mil per season which would make it nearly impossible for Toronto to match. McKenzie stressed that he wasn't officially reporting this as fact, but sharing how the landscape could appear come July. 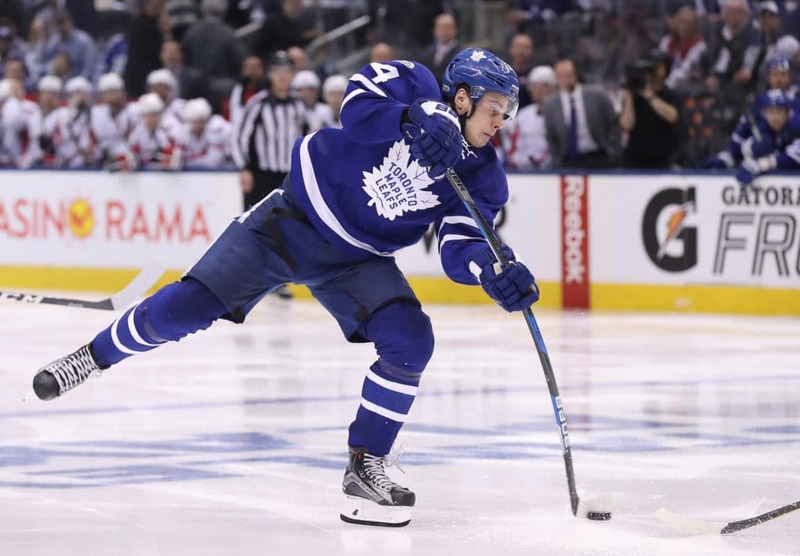 Rick Carpiniello of The Athletic made brief mention of the New York Rangers' readiness to send an offer sheet to Mitch Marner while on Sirius XM radio with Steve Kouleas, but quickly switched gears to talk about Artemi Panarin ignoring a follow up question on the offer sheet comment. While the prospects of your team landing one of these guys via offer sheet may be exciting, let's look at the other side of the coin. Many NHL GMs feel that sending an offer sheet to an RFA is a good way to ruin any relationships between them and their peers. Historically, offer sheets tend to be above what the RFA deserves, for lack of a better term. For example, in 2012, the Flyers offered Shea Weber (then of the Nashville Predators) a 14 year deal worth $110 mil which Nashville subsequently matched. Although, David Poile graciously released a statement on how the Predators will evaluate all avenues during the seven day window, information leaked that Poile was "livid" at the Flyers and hinted at his refusal to work with them in the future. Surely, it was just Poile blowing off steam, but the two teams haven't been involved in a trade together since 2012. With the players that I have listed above, I can't think of one that would make below $8 mil AAV. For the sake of argument, let's say the New Jersey Devils manage to wrestle Brayden Point away from Tampa Bay at the rate of $8.25 mil AAV. This move would seriously jeopardize what the future would look like for the Devils as Ray Shero and company would be sitting at their draft tables twiddling thumbs for the next two years over the first three rounds barring further deals. Sure, Shero would never make this deal, but again, it's for the sake of argument. Offering and signing RFAs come at a steep price and I don't think many teams are willing to run rickshaw with the future of the franchise (or the GM's own). If we were to provide yet another example, let's revisit the Matthews to Arizona rumor at $16 mil AAV. John Chayka would not see another first round pick for four years barring other deals. These men are true professionals and would put team success over an uptick in jersey sales, but that is an assumption on my part. In conclusion, as a fan and not an NHL executive, it sure would be nice to have that shiny new toy to show off to all of your friends and rivals, but it could also bring great resentment when you have to skip a few meals just to have it. Sometimes it's best just to circle it in the old school Sears Wish Book with hopes to get it than to actually get it.